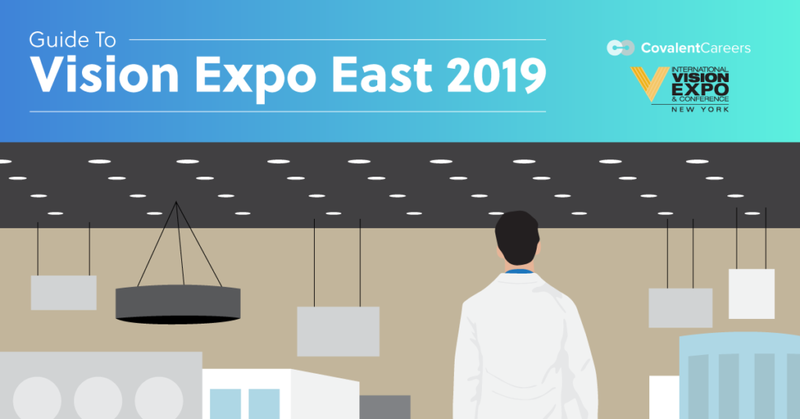 It’s nearly the end of the first quarter of a new year, and that means that Vision Expo East 2019 is right around the corner! With a dedication to education and innovation, Vision Expo is the best place to keep up to date with the latest eyecare technology, learn about the newest eyecare news, and network with your fellow ODs. This year’s show is set to be packed with over 16K eyecare professionals and over 700 exhibitors from sixty-eight countries, so you can be sure that you’ll have everything you need in one place. Be sure to check out the amazing networking opportunities, continuing education sessions, and tons more. BEST OF ALL – Your friends from CovalentCareers and NewGradOptometry will be there as usual, filming tons of live panel discussions and films and producing some amazing content! Register for Vision Expo and get free exhibit hall access! We know the weekend will be jam-packed, but stop by our booth (C4067) to say hi and snag some free swag! We’ll be giving away tons of great stuff and can’t wait to see you all there! And don’t miss out on complimentary breakfast snacks from 9am-11am, and complimentary afternoon snacks from 2pm-4pm in the Eat and Meet Locations! One of the best things about Vision Expo is having everyone under one roof. The truth is, every moment of the expo is a chance to build new relationships and expand your network, but there are plenty of times and places dedicated to meeting and mingling. Here are a few networking opportunities that we can’t wait for. On Friday and Saturday, get together to cast your vote for the Vision Choice Awards! You can vote for the best new product on the floor and be entered to win $500. Stop by the NEW! 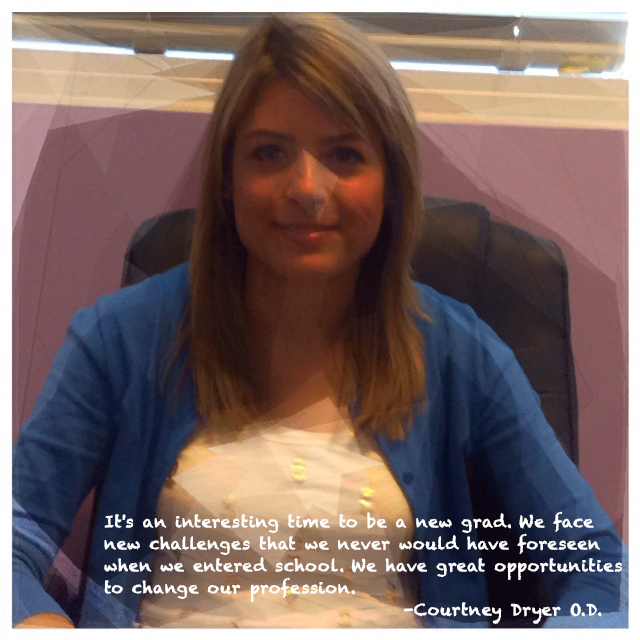 Career Zone to meet face-to-face with potential employers or prospective candidates! If you need a breath of fresh air, step out to the Block Party from 3-4pm on Friday. Join DJs and glasses designers Coco and Breezy for a light afternoon. Don’t miss a rockin’ evening at Sony Hall! The ODs on Facebook party kicks off at 7:30pm with a show from the Bad Habits – The Eyedocs of Rock and complimentary drinks from 9-10pm! If you have opted for the OptiCon package, don’t forget about the OptiCon @ Vision Expo Welcome Event on Friday from 6:30-8:30pm at the Marquee. Attending the biggest event in eyecare not only gives you the chance to meet and greet, it can also provide amazing educational opportunities. 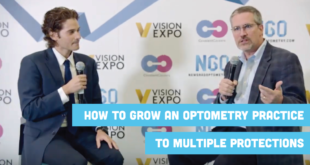 These are some of the most exciting educational sessions coming to Vision Expo East 2019! And keep in mind that if you arrive prior to a course’s start time (and it’s not sold out) you can attend for free! Learning the Critical Building Blocks of Your Business (Workshop) – Join business guru Jay Binkowitz as he discusses tips for those interested in opening or buying a practice. Learn what you need to know to grow, manage, and develop your business! Innovation Series – Taking your practice to the next level means staying ahead of the curve. The Innovation Series will walk you through the newest developments in eyecare and keep you moving forward. The Leadership Forum: Inspire, Transform, and Drive Change with Roberto Monaco – If you have ever wanted to hone your skills as a leader, improve your communication skills, and develop strong plans of action for yourself or your team, check out these sessions! March Madness: Case Challenges in Optometry – Optimizing Ocular Imaging – Shall we see who has the fastest mind at VEE? Come out and cast your vote to see who will be crowned the winner of this year’s March Madness competition! Myopia Track – Myopia is an increasingly common problem for our patients. Learn how to implement the newest prevention and care strategies to slow the progression of myopia. Vision Expo is the perfect place to get all the continuing education you need. There are courses and topics for everyone! Between education, networking, and just meeting old friends and making new friends, Vision Expo is a must attend event!